Just because it has the word 'fruit' in it doesn't mean it's as healthy as eating a piece of fruit! 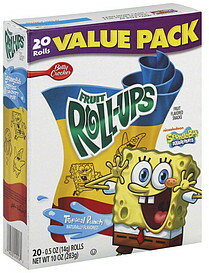 Fruit snacks are often loaded with added sugar. Find out what's in your fruit snacks and find healthier alternatives. Download ShopWell and check out our snack recommendations just for you. Pears from Concentrate, Corn Syrup, Dried Corn Syrup, Sugar, Partially Hydrogenated Cottonseed Oil. Contains 2% or Less of: Citric Acid, Sodium Citrate, Acetylated Monoglycerides, Fruit Pectin, Dextrose, Malic Acid, Vitamin C (Ascorbic Acid), Natural Flavor, Color (Red 40, Yellows 5 & 6, Blue 1). Gluten free.